Hi and Happy National Weimaraner Day to all! 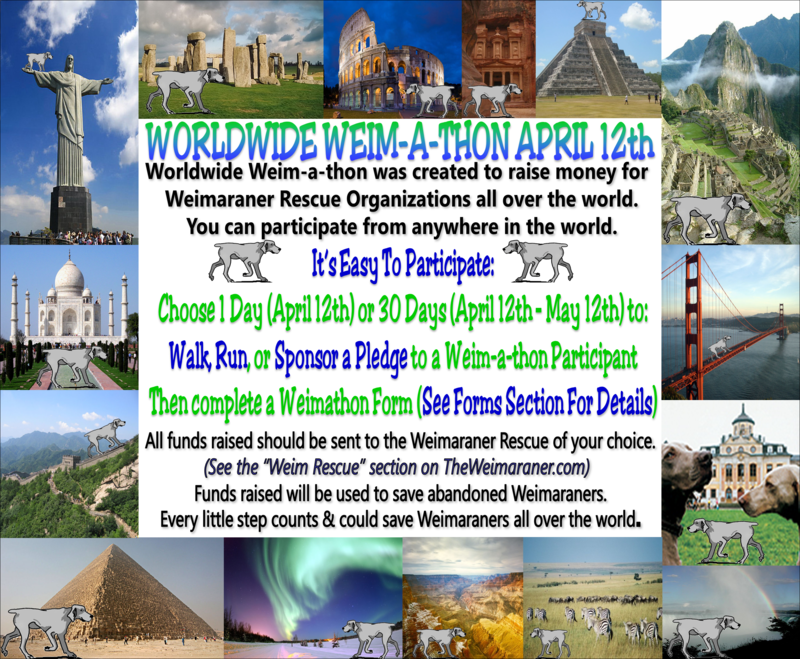 Dogwood Rescue Society is holding our own version of the Weimathon. We are inviting all Weims and all Weim-Wannabes to participate for a month of walking and are asking for the donations to be sent to us. (We hope you don’t mind.) We specialize in sporting Breeds and are based in Metro Vancouver, BC, Canada. We are a registered Charity and can give Income Tax receipts for donations over $25.00 Canadian. Please check out our Website or facebook or twitter.